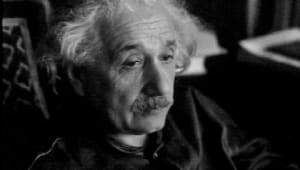 Einstein was asked to be the president of Israel, but he declined: After Chaim Weizmann, Israel's first president, died in 1952, the country's prime minister offered the job to Einstein. Einstein died after refusing surgery, saying, "I want to go when I want. It is tasteless to prolong life artificially. I have done my share, it is time to go. I will do it elegantly." Einstein was a member of the NAACP, drawing correlations between blacks in America and Jews in Germany. He believed racism was a disease. 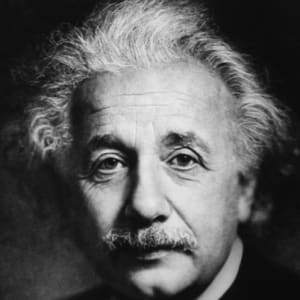 Albert Einstein (March 14, 1879 to April 18, 1955) was a German mathematician and physicist who developed the special and general theories of relativity. 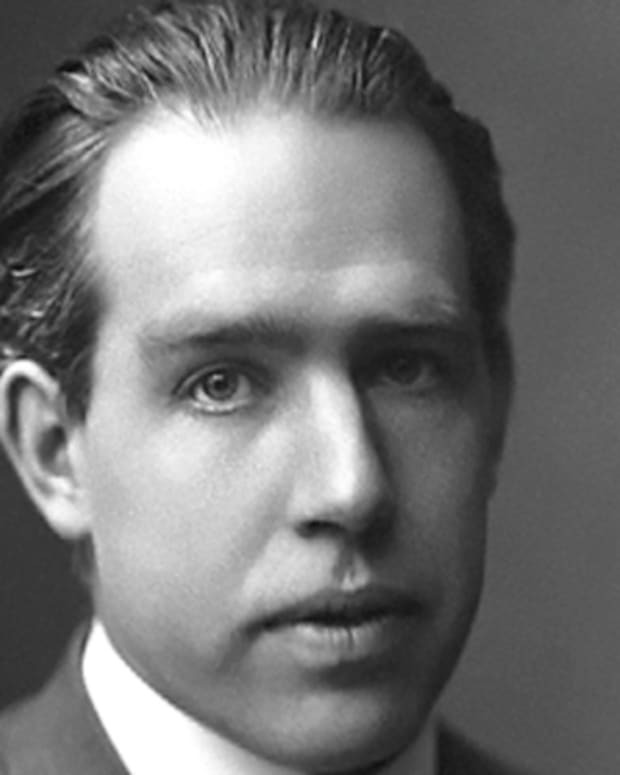 In 1921, he won the Nobel Prize for physics for his explanation of the photoelectric effect. 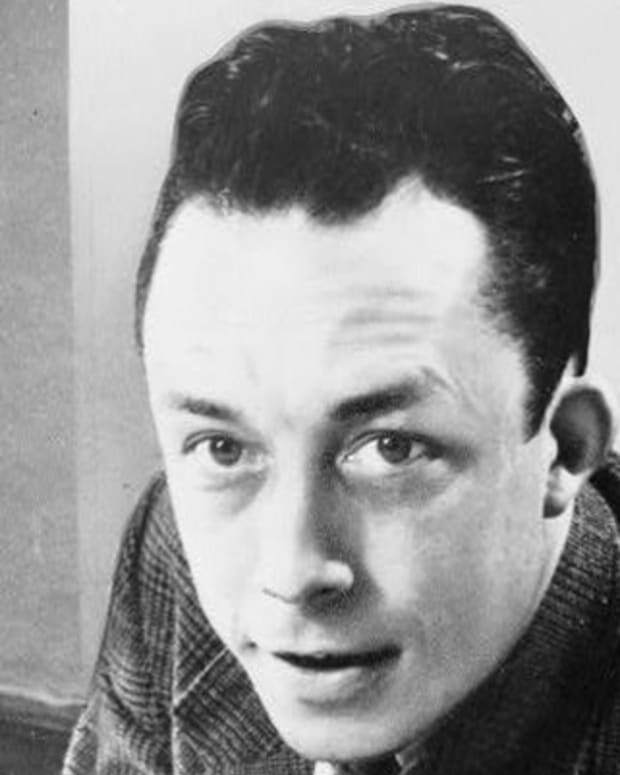 In the following decade, he immigrated to the U.S. after being targeted by the Nazis. 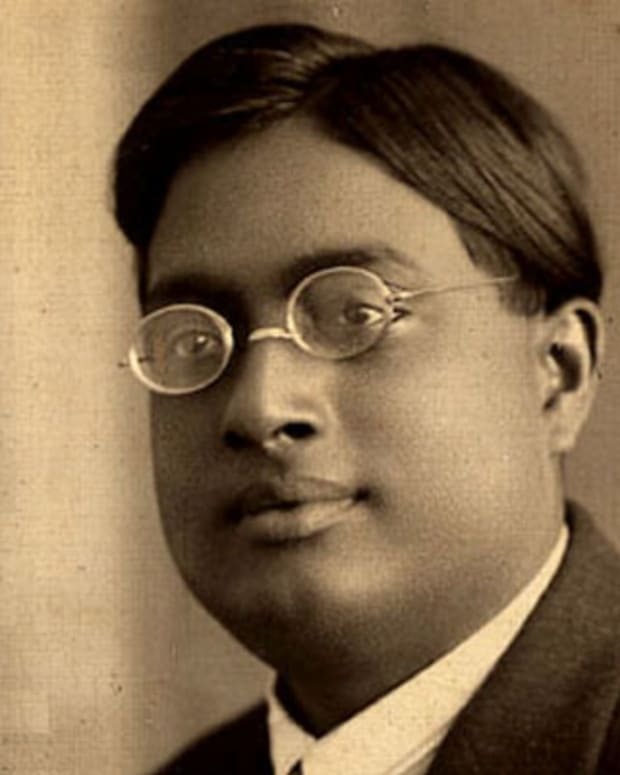 His work also had a major impact on the development of atomic energy. In his later years, Einstein focused on unified field theory. With his passion for inquiry, Einstein is generally considered the most influential physicist of the 20th century. As a physicist, Einstein had many discoveries, but he is perhaps best known for his theory of relativity and the equation E=MC2, which foreshadowed the development of atomic power and the atomic bomb. Einstein first proposed a special theory of relativity in 1905 in his paper, “On the Electrodynamics of Moving Bodies,” taking physics in an electrifying new direction. By November 1915, Einstein completed the general theory of relativity. Einstein considered this theory the culmination of his life research. 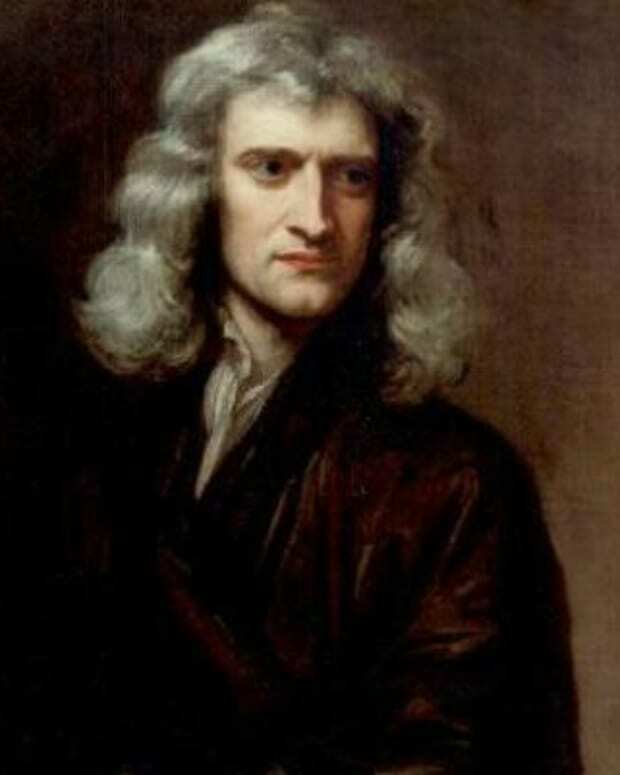 He was convinced of the merits of general relativity because it allowed for a more accurate prediction of planetary orbits around the sun, which fell short in Isaac Newton’s theory, and for a more expansive, nuanced explanation of how gravitational forces worked. Einstein&apos;s assertions were affirmed via observations and measurements by British astronomers Sir Frank Dyson and Sir Arthur Eddington during the 1919 solar eclipse, and thus a global science icon was born. Einstein’s 1905 paper on the matter/energy relationship proposed the equation E=MC2: energy of a body (E) is equal to the mass (M) of that body times the speed of light squared (C2). This equation suggested that tiny particles of matter could be converted into huge amounts of energy, a discovery that heralded atomic power. Albert Einstein grew up in a secular Jewish family. His father, Hermann Einstein, was a salesman and engineer who, with his brother, founded Elektrotechnische Fabrik J. Einstein & Cie, a Munich-based company that manufactured electrical equipment. Albert’s mother, the former Pauline Koch, ran the family household. Einstein had one sister, Maja, born two years after him. Albert Einstein married Milena Maric on Jan. 6, 1903. While attending school in Zurich, Einstein met Maric, a Serbian physics student. Einstein continued to grow closer to Maric, but his parents were strongly against the relationship due to her ethnic background. 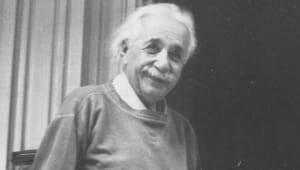 Nonetheless, Einstein continued to see her, with the two developing a correspondence via letters in which he expressed many of his scientific ideas. Einstein’s father passed away in 1902, and the couple married thereafter. That same year the couple had a daughter, Lieserl, who might have been later raised by Maric&apos;s relatives or given up for adoption. Her ultimate fate and whereabouts remain a mystery. 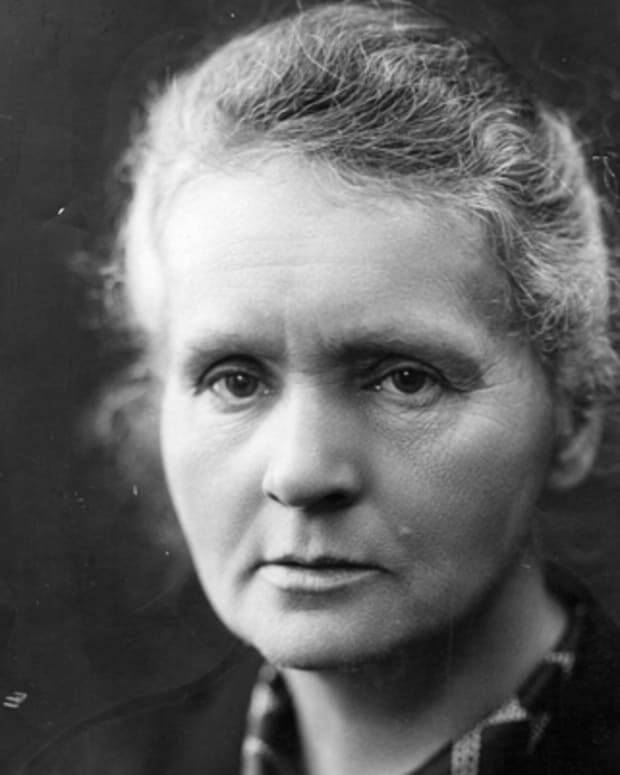 The couple had two sons, Hans Albert Einstein (who became a well-known hydraulic engineer) and Eduard "Tete" Einstein (who was diagnosed with schizophrenia as a young man). The marriage would not be a happy one, with the two divorcing in 1919 and Maric having an emotional breakdown in connection to the split. Einstein, as part of a settlement, agreed to give Maric any funds he might receive from possibly winning the Nobel Prize in the future. During his marriage to Maric, Einstein had also begun an affair some time earlier with a cousin, Elsa Löwenthal. The couple wed in 1919, the same year of Einstein’s divorce. 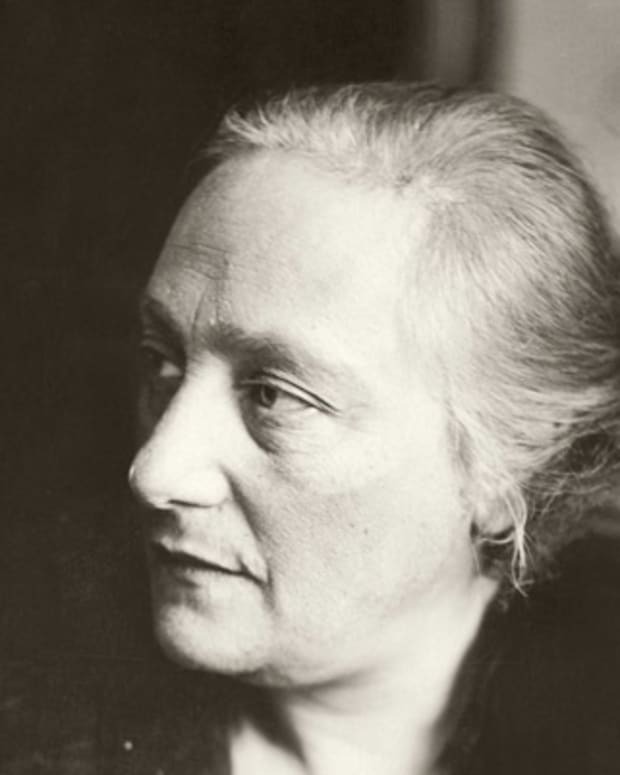 He would continue to see other women throughout his second marriage, which ended with Löwenthal&apos;s death in 1936. Albert Einstein was born on March 14, 1879 in Ulm, Württemberg, Germany. 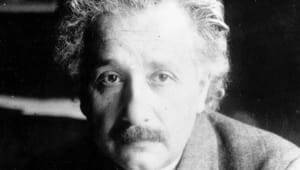 Albert Einstein died on April 18, 1955, at age 76 at the University Medical Center at Princeton. The previous day, while working on a speech to honor Israel&apos;s seventh anniversary, Einstein suffered an abdominal aortic aneurysm. He was taken to the hospital for treatment but refused surgery, believing that he had lived his life and was content to accept his fate. "I want to go when I want," he stated at the time. "It is tasteless to prolong life artificially. I have done my share, it is time to go. I will do it elegantly." During Albert Einstein’s autopsy, Thomas Stoltz Harvey removed his brain, reportedly without the permission of his family, for preservation and future study by doctors of neuroscience. 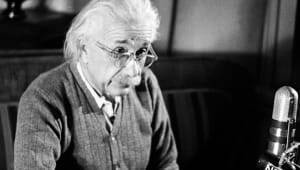 However, during his life Einstein participated in brain studies, and at least one biography says he hoped researchers would study his brain after he died. 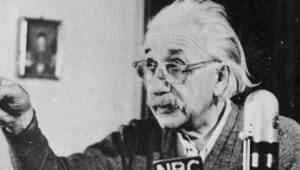 Einstein&apos;s brain is now located at the Princeton University Medical Center, and his remains were cremated and his ashes scattered in an undisclosed location, following his wishes. 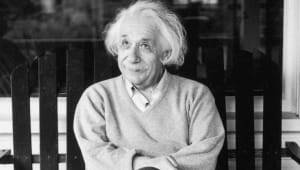 In 1999, Canadian scientists who were studying Einstein’s brain found that his inferior parietal lobe, the area that processes spatial relationships, 3D-visualization and mathematical thought, was 15 percent wider than in people with normal intelligence. According to The New York Times, the researchers believe it may help explain why Einstein was so intelligent. Einstein attended elementary school at the Luitpold Gymnasium in Munich. However, he felt alienated there and struggled with the institution&apos;s rigid pedagogical style. 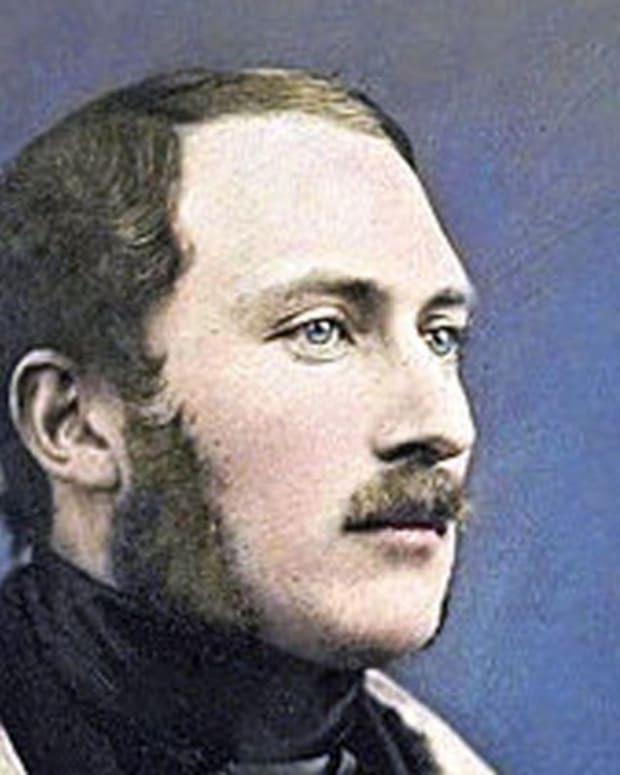 He also had what were considered speech challenges, though he developed a passion for classical music and playing the violin that would stay with him into his later years. Most significantly, Einstein&apos;s youth was marked by deep inquisitiveness and inquiry. Towards the end of the 1880s, Max Talmud, a Polish medical student who sometimes dined with the Einstein family, became an informal tutor to young Albert. Talmud had introduced his pupil to a children’s science text that inspired Einstein to dream about the nature of light. Thus, during his teens, Einstein penned what would be seen as his first major paper, "The Investigation of the State of Aether in Magnetic Fields." Hermann Einstein relocated the family to Milan, Italy, in the mid-1890s after his business lost out on a major contract. 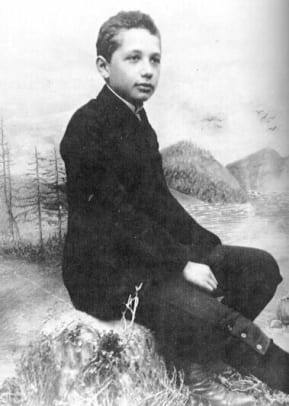 Albert was left at a relative&apos;s boarding house in Munich to complete his schooling at the Luitpold Gymnasium. Faced with military duty when he turned of age, Albert allegedly withdrew from classes, using a doctor’s note to excuse himself and claim nervous exhaustion. With their son rejoining them in Italy, his parents understood Einstein&apos;s perspective but were concerned about his future prospects as a school dropout and draft dodger. 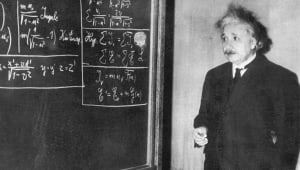 Einstein was eventually able to gain admission into the Swiss Federal Polytechnic School in Zurich, specifically due to his superb mathematics and physics scores on the entrance exam. He was still required to complete his pre-university education first, and thus attended a high school in Aarau, Switzerland helmed by Jost Winteler. Einstein lived with the schoolmaster&apos;s family and fell in love with Winteler&apos;s daughter, Marie. Einstein later renounced his German citizenship and became a Swiss citizen at the dawn of the new century. After graduating, Einstein faced major challenges in terms of finding academic positions, having alienated some professors over not attending class more regularly in lieu of studying independently. Einstein eventually found steady work in 1902 after receiving a referral for a clerk position in a Swiss patent office. While working at the patent office, Einstein had the time to further explore ideas that had taken hold during his studies at Polytechnic and thus cemented his theorems on what would be known as the principle of relativity. In 1905—seen by many as a "miracle year" for the theorist—Einstein had four papers published in the Annalen der Physik, one of the best known physics journals of the era. Two focused on photoelectric effect and Brownian motion. The two others, which outlined E=MC2 and the special theory of relativity, were defining for Einstein’s career and the course of the study of physics. In 1921, Einstein won the Nobel Prize for Physics for his explanation of the photoelectric effect, since his ideas on relativity were still considered questionable. He wasn&apos;t actually given the award until the following year due to a bureaucratic ruling, and during his acceptance speech he still opted to speak about relativity. In the development of his general theory, Einstein had held onto the belief that the universe was a fixed, static entity, aka a "cosmological constant," though his later theories directly contradicted this idea and asserted that the universe could be in a state of flux. Astronomer Edwin Hubble deduced that we indeed inhabit an expanding universe, with the two scientists meeting at the Mount Wilson Observatory near Los Angeles in 1930. In 1933, Einstein took on a position at the Institute for Advanced Study at Princeton, New Jersey. At the time the Nazis, led by Adolf Hitler, were gaining prominence with violent propaganda and vitriol in an impoverished post-WWI Germany. 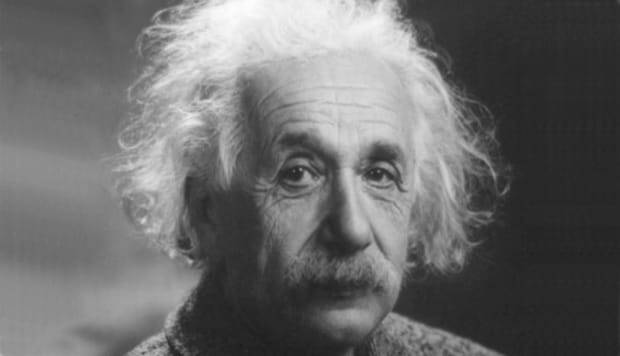 The party influenced other scientists to label Einstein&apos;s work "Jewish physics." 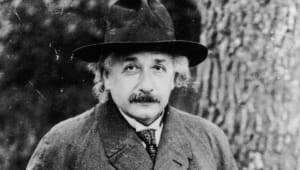 Jewish citizens were barred from university work and other official jobs, and Einstein himself was targeted to be killed. 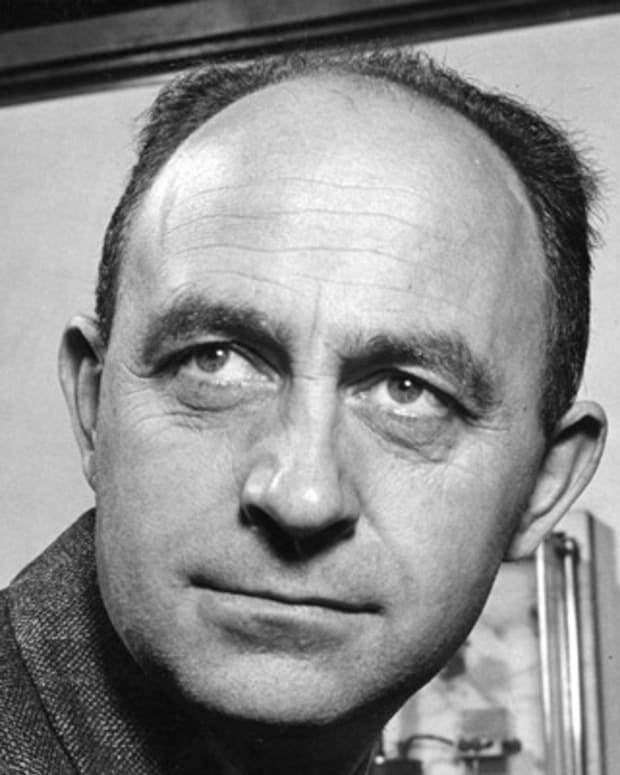 Meanwhile, other European scientists also left regions threatened by Germany and immigrated to the U.S., with concern over Nazi strategies to create an atomic weapon. After moving, Einstein never went back to his native land. It was at Princeton that Einstein would spend the rest of his life working on a unified field theory—an all-embracing paradigm meant to unify the varied laws of physics. Not long after he began his career at Princeton, Einstein expressed an appreciation for American "meritocracy" and the opportunities people had for free thought, a stark contrast to his own experiences coming of age. In 1935, Einstein was granted permanent residency in his adopted country and became an American citizen a few years later. During World War II, he worked on Navy-based weapons systems and made big monetary donations to the military by auctioning off manuscripts worth millions. 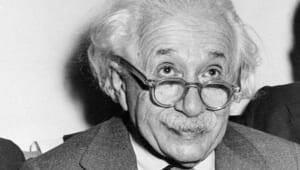 In the late 1940s, Einstein became a member of the National Association for the Advancement of Colored People (NAACP), seeing the parallels between the treatment of Jews in Germany and African Americans in the United States. He corresponded with scholar/activist W.E.B. Du Bois as well as performing artist Paul Robeson and campaigned for civil rights, calling racism a "disease" in a 1946 Lincoln University speech. After World War II, Einstein continued to work on his unified field theory and key aspects of the theory of general relativity, such as wormholes, the possibility of time travel, the existence of black holes and the creation of the universe. However, he became increasingly isolated from the rest of the physics community, whose eyes were set on quantum theory. 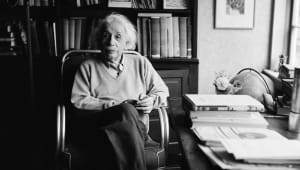 In the last decade of his life, Einstein, who had always seen himself as a loner, withdrew even further from any sort of spotlight, preferring to stay close to Princeton and immerse himself in processing ideas with colleagues. Since Einstein’s death, a veritable mountain of books have been written on the iconic thinker&apos;s life, including Einstein: His Life and Universe by Walter Isaacson and Einstein: A Biography by Jürgen Neffe, both from 2007. Einstein&apos;s own words are presented in the collection The World As I See It. In 2018, readers were allowed a glimpse into some of the unfiltered private thoughts of the renowned academic with the publication of The Travel Diaries of Albert Einstein: The Far East, Palestine, and Spain, 1922-1923. The diaries contained unflattering analyses of the people he came across, including the Chinese and Sri Lankans, a surprise coming from a man known for vehemently denouncing racism in his later years. Around that time, a team of scientists confirmed one aspect of Einstein&apos;s general theory of relativity, that the light from a star passing close to a black hole would be stretched to longer wavelengths by the overwhelming gravitational field. Tracking star S2, their measurements showed that the star&apos;s orbital velocity increased to more than 25 million kph as it neared the supermassive black hole at the center of the galaxy, its appearance shifting from blue to red as its wavelengths stretched to escape the gravitational pull. 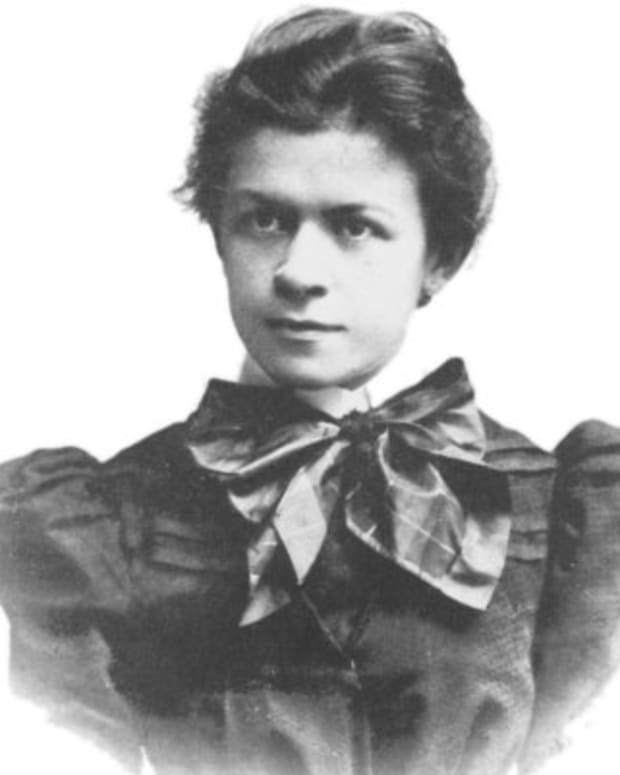 Mileva Einstein-Maric was the first wife of Nobel Prize-winning physicist Albert Einstein.